The Finnish bilberry contains more nutrients, e.g. vitamins A and E, omega fatty acids and up to 80% more antioxidants and flavonoids, which protect skin cells from the effects of oxygen and improve the skin’s metabolism and peripheral blood circulation, than cultivated blueberries. The tocotrienol contained by bilberries protects the skin from adverse external factors, such as pollution and UV radiation. 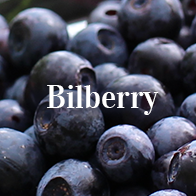 Bilberry also soothes irritated skin and eases itching. Oat extract is a superior ingredient for sensitive skin, as it effectively moisturises and soothes skin. Oat extract is made from Finnish organic oat, and contains an exceptional amount of nutrients. 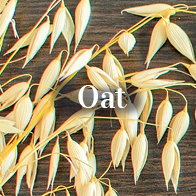 Oat oil’s botanically exceptional consistency contains ceramides, that prevent the skin from drying, phospholipids, that maintain cell structures, and linolenic acid, that strengthens the skin’s protective barrier. 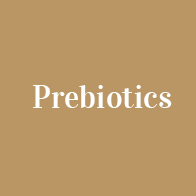 Prebiotics are natural carbohydrates, that increase the activity and number of the skin’s inherent beneficial probiotics, which strengthens the skin’s defensive mechanisms. The prebiotics used in Atopik products are oligosaccharides and inulin. ACACIA SENEGAL GUM Gum arabic. A natural thickening and film-forming agent, collected from the spiked acacia senegal. Gum arabic is the dried milk liquid of acacia senegal. ALPHA-GLUCAN OLIGOSACCHARIDE Oligosaccharide derived from natural sugars. PREBIOTIC, i.e. it increases the activity and number of the skin’s inherent beneficial probiotics, which strengthens skin’s defense mechanisms. ANHYDROXYLITOL Skin moisturising xylitol derivative. Helps retain the skin’s moisture balance and maintains its inherent protection. ASCORBIC ACID Ascorbic acid, or vitamin C, is a water-soluble antioxidant. It soothes irritated skin and helps even out its tone. Vitamin C supports the skin’s collagen synthesis and is used in anti-age products for this reason. AQUA Deionised water. Atopik products use purified and deionised water. AVENA SATIVA KERNEL OIL Oat oil. Oat oil’s skin identical consistency contains ceramides, that reduce skin dryness, phospholipids, that maintain cell structures, and linolenic acid, that strengthens skin’s defensive barrier. Oat oil also contains antioxidant vitamin E. Atopik products use Finnish organic oat oil. AVENA SATIVA KERNEL EXTRACT Oat extract. Oat extract is used as a skin protecting and treating substance. Oat can be used to treat dry and itching skin. The beta-glucan that oat contains has skin soothing properties. Atopik oat extract is made from Finnish organic oat. Organic oat is extracted at a specific moment of the milk stage, when it has the highest amounts of nutrients and minerals. BENZOIC ACID, BENZYL ALCOHOL A preservative permitted in natural cosmetics. BETAINE Betaine is collected from the molasses of the Finnish sugar beet (Beta Vulgaris). It is a plant-based ingredient common in many wild plants. In skin care betaine soothes irritation and as a moisturiser prevents skin from drying. C12-20 ALKYL GLUCOSIDE and C14-22 ALCOHOLS Emulsifier. Emulsifiers have an important part in forming and maintaining emulsions. They combine fat- and water-soluble ingredients producing an emulsion, a creamlike mass, from them. C12-20 alkyl glucoside is a condensation product of fatty alcohol and glucose. Acts as an emulsifier in the product. C14-22 is an emulsifier, that consists of fatty alcohols, and a skin treating ingredient. Also acts as the stabilising ingredient in an emulsion. CAPRYLIC/CAPRIC TRIGLYSERIDE Caprylic/capric triglyceride is a coconit oil based triglyceride compound, that effectively reduces moisture loss, treats and softens skin and improves its protection. CAPRYLYL/CAPRYL GLUCOSIDE Plant-based mild detergent. CETEARYL GLUCOSIDE Cetearyl glucoside is a coconut oil based emulsifier and surfactant. Made from cetearyl alcohol and glucose. CETEARYL OLIVATE Emulsifier derived from olive oil that also reduces moisture loss from skin. An ester of fatty acids derived from cetearyl alcohol and olive oil. CETYL ALCOHOL Cetyl alcohol is a fatty alcohol, that is used as an emulsifier and as a skin softening agent. It can be collected i.a. from coconut oil. Fatty alcohols are not to be mixed with alcohol. Chemically they are entirely different agents. Fatty alcohols are skin treating agents, unlike ethanol based alcohols. CITRONELLOL Natural odour component, part of a natural fragrance. COCAMIDOPROPYLBETAINE Coconut oil based mild detergent. DECYL COCOATE Decyl cocoate is a natural coconut based skin softening and treating agent. DEHYDROACETIC ACID A preservative permitted in natural cosmetics. DICAPRYLYL CARBONATE Skin treating and softening agent. Moisturises skin by way of maintaining skin’s inherent protective lipid bilayer. DIPALMITOYL HYDROXYPROLINE Plant-based amino acid, that helps stimulate skin’s collagen synthesis and to slow the forming of signs of aging. GERANIOL Natural odour component, part of a natural fragrance. GLYCERYL STEARATE Glyceryl stearate is a moisturising and skin treating agent. Is used as an emulsifier and emollient in cosmetics. GLYCERIN Glycerin is an efficient moisturising agent with a long lasting effect on skin. Can absorb water up to half its own weight. Due to how skin friendly it is, it is the most used humectant in cosmetics. GLYCINE SOJA OIL Soy oil. Soy oil is a skin softening and treating oil, that contains plentiful precious amino acids and antioxidants. GUAR HYDROXYPROPYLTRIMONIUM CHLORIDE Quaternary derivative of guar gum, a natural thickening agent. HELIANTHUS ANNUUS SEED OIL Sunflower seed oil. A light, quickly absorbed and skin softening and nourishing oil. INULIN Inulin is a carbohydrate that consists of fructose. PREBIOTIC, i.e. it increases the activity and number of the skin’s inherent beneficial probiotics, which strengthens the skin’s defense mechanisms. LACTIC ACID Lactic acid is an AHA acid and pH control agent, that also has skin treating and moisturising properties. LINALOOL Natural odour component, part of a natural fragrance. LYSOLESITHIN Lysolesithin is a plant-based emulsifier. MANGIFERA INDICA SEED BUTTER Mango seed butter. Mango seed butter contains antioxidants and fatty acids, that are indispensable for skin, which nourish and soften skin effectively. It also has skin renewing and soothing properties. MENTHA PIPERITA OIL Peppermint essential oil. A skin cooling and balancing essential oil that gives products a pleasant fragrance. PARFUM Fragrance. All scents used in Atopik products are of natural origin. Synthetic fragrances are banned from natural cosmetics. PHENETHYL ALCOHOL Agent collected from roses and is used to improve the preservability of a product. A fatty alcohol, skin treating agent. PROPANEDIOL Propanediol is a natural skin moisturising and softening agent collected from maize. PULLULAN Natural polysaccharide, a natural thickening and film-forming agent. ROSA DAMASCENA FLOWER WATER Rose water. Rose water is a skin treating agent, that gives products a wonderful scent. SALVIA HISPANICA SEED OIL Chia seed oil. Chia seed oil is a plant oil, that contains an exceptional amount of omega fatty acids and antioxidants. SCLEROTIUM GUM Natural thickening agent and polysaccharide. SODIUM CHLORIDE Thickening agent for detergents. SODIUM COCOAMPHOACETATE Mild plant-based detergent permitted in natural cosmetics. SODIUM COCO-SULFATE Coconut oil based detergent permitted in natural cosmetics. SODIUM HYALURONATE Hyaluronic acid. The sodium hyaluronate of hyaluronic acid is a natural polysaccharide, that occurs in skin. Effectively moisturises and softens skin increasing its richness. The hyaluronic acid used in Atopik products is Ecocert & COSMOS approved. SODIUM PCA Sodium salt of pyrrolidone carbonic acid. A naturally occurring amino acid derivative, that has moisture absorbing properties. Moisturises skin by absorbing water in its surface. SORBITAN OLIVATE Emulsifier. An agent that comes from sorbitol and olive oil, a surfactant and an emulsifier. STEARIC ACID Plant-based emulsifier. Skin softening and fat balance restoring agent. SWEET ALMOND OIL POLYGLYCERYL-4 ESTERS Water soluble almond oil. TOCOPHEROL Natural vitamin E, a strong antioxidant, that protects skin from adverse environmental factors. Natural vitamin E also has a moisturising effect. VACCINIUM MYRTILLUS FRUIT EXTRACT Bilberry extract. A skin treating and soothing extract made from Finnish bilberries. The anthocyanin concentration of bilberries can be up to four times that of blueberries. A highly antioxidant berry whose health benefits are well-known. VITIS VINIFERA SEED OIL Grapefruit seed oil. Grapefruit seed oil contains fatty acids, that are important for skin, which soften and treat skin. The oil also has antioxidant effects. The oil is well absorbed and reduces moisture loss from skin. XANTHAN GUM Xanthan gum is a natural polysaccharide, that is used as a thickening and stabilising agent. XYLITOL Xylitol is a natural skin moisturising agent. Helps maintain skin’s inherent moisture balance and maintains skin’s inherent protective barrier. XYLITYLGLUCOSIDE Plant-based sugar derivative that moisturises skin. Helps maintain skin’s inherent moisture balance and maintains skin’s inherent protective barrier. ZINC OXIDE Zinc is a skin soothing mineral, that eases irritation and reduces redness. Zinc oxide is also a natural sun screen.